IRVINE, Calif. (July 18, 2017) – Irvine Company Office Properties today announced that SendGrid, a leading customer communication platform that drives engagement and growth, has signed a lease for new office space at 400 Spectrum Center Drive. The customer communications platform innovator signed a full-floor lease and will move to the fourth floor of the new 21-story vertical campus in the heart of Irvine Spectrum early next year. The lease brings the new tower to 36-percent pre-leased and comes just weeks after Irvine Company announced that 200 Spectrum Center, its year-old sister building, is 93-percent leased. SendGrid joins cybersecurity leader Cylance at 400 Spectrum Center, and 200 Spectrum Center customers Mazda North America Operations, gaming leader Curse Inc., workspace innovator WeWork, wireless technology infrastructure company Crown Castle and internet of things leader Greenwave Systems. SendGrid officials said they were drawn to the quality of the building and its floor-to-ceiling glass and column-free floor plans, the outdoor spaces, and the unparalleled opportunities for their employees to innovate. 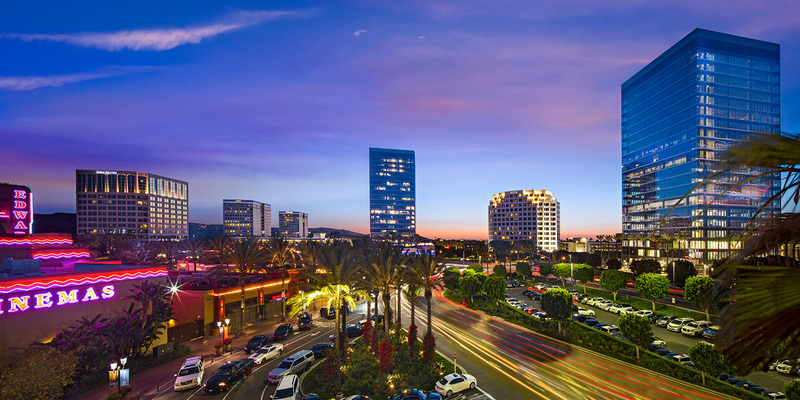 Conveniently located in the center of one of California’s most successful live-work-play communities, 400 Spectrum Center also offers their employees the chance to work next to a variety of housing choices adjacent to Irvine Spectrum Center, one of Southern California’s most popular entertainment, shopping and dining destinations. The building’s proximity to the Irvine Transportation Center, which includes iShuttle services for commuters from the station to Irvine Spectrum, also allowed SendGrid to expand its recruiting base. Both 200 and 400 Spectrum Center offer The Commons, an open air gathering place featuring casual workspaces, an outdoor living room and complimentary Wi-Fi. The campuses also offer KINETIC, which blends a state-of-the-art onsite fitness center and wellness services, and is across the street from the St. Joseph Hoag Health Wellness Corner at The Village apartment homes. Showers, lockers and covered bicycle storage enable outdoor fitness as well as easy commuting by bike. “We’re excited about the new location at 400 Spectrum Center as it is an ideal location for our team to foster and attract and retain a workforce that reflects our unique 4H culture,” said Pattie Money, Chief People Officer, at SendGrid. SendGrid is a proven, cloud-based customer communication platform that drives engagement and business growth. A leader in email deliverability, SendGrid successfully delivers over 30 billion emails each month for Internet and mobile-based customers like Airbnb, Pandora, HubSpot, Spotify, Uber and Foursquare as well as more traditional enterprises like Intuit and Costco. For more information, visit www.sendgrid.com.